Well, IBM finally did it. The tech giant stood by their assertion that she is the most qualified candidate with her status as senior vice president and key role in snagging PriceWaterhouseCooper’s Consulting. 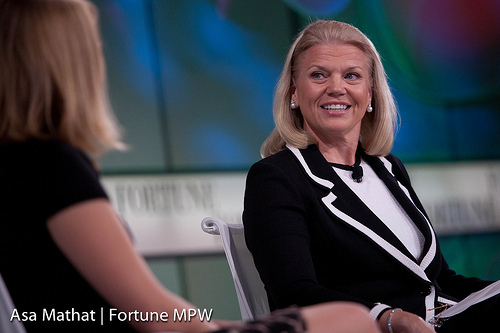 For those who haven’t heard, IBM chose Virginia “Ginni” Rometty as chief executive officer (CEO), making her the first female CEO in the company’s century of history. After starting this blog and now sub-conciously looking for material about which to write, I take more and more notice of these things. Part of me wishes I could go back to my world of ignorance and thinking that finally we are in a world (or at the least, country) where men and women are equal. I mean, from where I stand, we are. Alas, though, my eyes are opening wide when I read these articles. And it fuels me more everyday to go and speak to classrooms and show young girls that they can grow up to be successful. Train astronauts even. Or perhaps be one themselves. Or go into finance. Or management. Or anything their sweet girly hearts desire. Sans Hollywood. Patricia Due did what most of us are scared to do. Get in trouble. For rights we have today because of her courage. At the ripe age of 20, Due refused to give up her seat at a counter in Florida. Her defiance led to an arrest and a 49 day stint in jail. After 50 years of believing in equality for all, she passed away at the age of 72 after succumbing to thyroid cancer. It’s been an exciting few days, from the chanting of “NASA! NASA! NASA!” in Times Square to the cover of major news outlets like CNN. 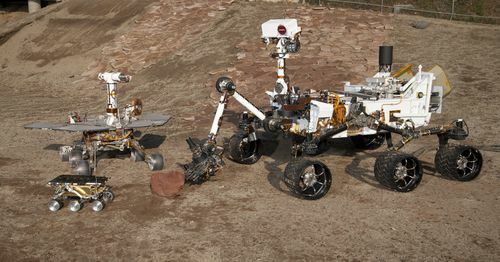 After all, the latest of NASA’s rovers landed on Mars at 1:31ET on August 6, 2012. What makes this rover so different from its predecessors? Sheer size! Think of the others like remote control cars with which young kids play and think of Curiosity like the real life sized version of an SUV. Imagine having to remotely land such a beast in a terrain for which you only have pictures at best. With the scientific world watching and dollar signs hovering nearby. All things aside, the successful landing is a huge technological advancement and that alone is exciting! The upcoming two years of discovery are surely promising. To celebrate a such a moment in our space program’s history, Women@NASA spoke with Ann Devereaux at the Jet Propulsion Laboratory, the center responsible for NASA’s unmanned space program. Ann is the deputy lead engineer for the descent, entry, and landing of Curiosity, and we are so proud of her and her entire team! Congratulations to entire NASA and JPL team! I grew up near Kennedy Space Center and always loved the idea of the adventure of going into space, scratching at the cosmos as those rockets blasted into the sky. I would see pictures of the planets in books with “Credit: NASA” on them, and I knew I wanted to be one of those people that made them happen. As a kid, I gobbled up all sorts of sci-fi: books, comics, TV, movies, but NASA was the place where sci-fi became real. I’ve been lucky enough to have had a couple experiences – first, as a student intern in high school where in the proudest moment of my young life, I was able to drive past the gates of KSC and actually be right there where the rockets were launched, and not be just watching them from across the water as I had for so many years. The second experience was as a new college graduate who had just moved across country to come work at JPL, knowing that this was going to be the place that I built my career. Designing, building, testing and operating equipment that has to survive the space environment, which is so unforgiving. You have to be constantly asking yourself what you might be missing. Our spacecraft are so complex and so capable, you want to make sure that you and your team have done everything possible to make them successful. It is hard to consider all the “unknown unknowns” when so much that NASA does is the first time anyone has done these things, ever! Being a part of the fantastic team that has brought MSL up from simple paper concept to being at the edge of landing on another planet, to bring back more knowledge about Mars than we’ve ever had before – that’s a profound gift and I’m happy to have been able to make the contributions I have. I’ve worked a lot of different aspects on the project – from telecommunications, to avionics and fault protection, to EDL. I have had to learn a huge amount at every turn, and it’s really made me appreciate the flexibility you need to have as an engineer. I have to be able to work in a big team to make big things happen. I worked on Mars Observer, which was unfortunately lost just as it got to the planet. I had only worked a few months on it, so I hadn’t had the investment in it that so many others had. But I was still shocked and demoralized when we lost it. It really taught me that things can never be certain in our business and that we have to do everything we can to ensure success. However, we have to be able to also learn from the failures and move on to do better things. My career has covered all sorts of bends and corners I’d have never expected! 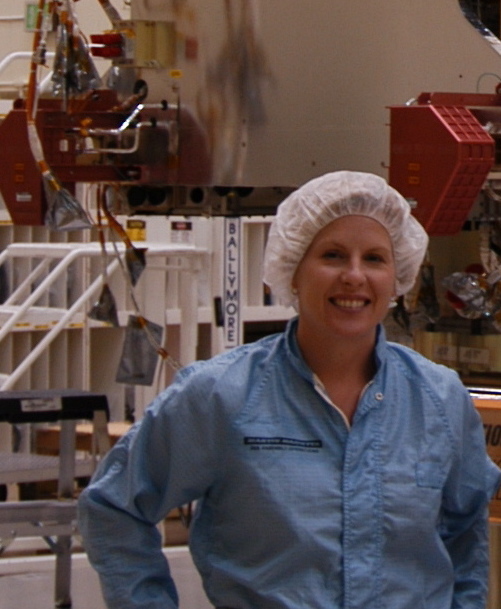 I have had so many experiences – working with s/c electronics, Deep Space Network communications, doing field engineering in Antarctica and Brazil for technology demonstrations, working with Space Station and now participating in a landing on Mars. I think having too strict an idea of exactly where you want to be means that you’re not open to new opportunities. A big part of why NASA is such a great place to work is that there is such a diversity of things to do and experience, it encourages us to stretch beyond what we might otherwise have been able to imagine. Not really. I went to school and now have worked in very male oriented disciplines (communications and electronics) and many times – even now – I can go into good sized meetings and not see another woman attending! But I’ve always considered myself to be just an engineer, and I find my male colleagues have treated me accordingly. This doesn’t mean I haven’t occasionally pointed out (with good humor) when one of my colleagues has said something inappropriate, but I have found that as long as I treat them as equals, I get the same. I enjoy holding my own with anyone – male or female. Diversity is what makes it interesting! I’d really like to work on some project proposals next – be able to come up with the original ideas for how to bring a science concept to life as a new spacecraft. Hone your intuition, and be strong enough to make a call on a decision. Very few of our problems in any discipline have black or white answers. You have to balance what may be incomplete information on both sides of the question, and then make a judgement call. Don’t be afraid to do this! This is why we gain experience, so in the tough questions, we have enough information and enough gut feeling to be able to make those tough decisions. Being a person who is willing and able to do this allows you to really contribute to solutions, at every level of an organization.